Over the course of Bob Darwell's legal career, Bob has worked on the development, finance, production and distribution of hundreds of motion pictures and television productions (including personal favorites such as “Traffic”, “Brokeback Mountain”, and “Eternal Sunshine of the Spotless Mind”). In addition, he’s handled major newsworthy deals such as Disney’s termination of Bob and Harvey Weinstein (which garnered him the prestigious CLAY Award as California Entertainment Lawyer of the Year for Entertainment) and Disney’s subsequent sale of Miramax. Bob later served as lead entertainment counsel to Comcast in connection with its acquisition of NBC Universal. 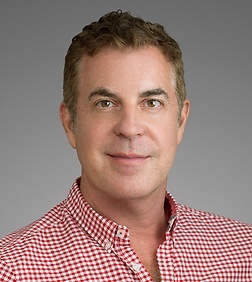 Bob brought his team to Sheppard Mullin in 2003 and served as Chair of the Entertainment, Technology and Advertising practice for more than a decade as it achieved accolades such as Top Tier ranked by Chambers and US Legal 500, as well as Entertainment Practice Group of the Year by Law 360. Through the years, Bob launched several specialty practices in the areas of advertising, fashion, and art law and has handled transactions that reflect the intersection of those verticals as well as those in sports, music, gaming, merchandising and mobile/digital areas. He represents clients in all segments of these businesses around the world. He currently serves as legal counsel to Amazon Studios for its film and television content and has handled some of the most significant new media deals for clients such as AwesomenessTV, Machinima, and Endemol Beyond. Bob studied law at Georgetown in Washington, DC and focused his studies on international trade. While there, he worked for the Attaché de Presse at the French Embassy and for DC powerhouse law firm Wilmer Cutler (including assisting Lloyd Cutler, who served as counsel to President Carter, with the Robert Bork Supreme Court confirmation hearings). At Georgetown, Bob took the only offered entertainment course and, following the tragic deaths of Vic Morrow and two child actors on the set of “The Twilight Zone” movie, wrote his seminar paper on the employment of minors in the entertainment industry. Its publication coincided with the birth of his first child. Upon graduation, Bob moved to Los Angeles and combined his passion for entertainment and media with his interest in international business. Bob travels and works regularly from his homes in Los Angeles, NYC, Nashville, Paris and Buenos Aires. Always reachable, clients praise his availability at all hours and dedication to service and excellence. Recently, Bob spoke at the Toronto, Zurich, and Rome International Film Festivals after stopping in DC for the launch party of a global art law compendium to which he contributed. When not negotiating and drafting, Bob may be found in the DJ booth or taking photos for his popular Instagram feed @TheDailyServer, which will be the subject of a month long gallery exhibition in Paris. Lead entertainment counsel to Comcast in connection with its multi-billion dollar acquisition of NBC Universal. Represented Disney on the sale of Miramax. Represent French television powerhouse Banijay Entertainment in expanding its reality television empire by acquiring Stephen David Entertainment and Bunim/Murray Productions. Counsel to City National Bank in connection with a series of off balance sheet financing transactions for video game titles. Represented IAC in connection with its deal with Ben Silverman to form Electus. Representation of Focus Features with respect to its co-development/co-financing venture with Random House to form Random House Films. Represented Los Angeles Clippers in connection with multi-year telecast rights agreement. Lead outside counsel representing Walt Disney Company in connection with the separation of Bob and Harvey Weinstein from Miramax. Legal counsel to producer in the production, distribution, financing and/or acquisition of 100s of high profile motion pictures, including "The Beguiled", "Wonder Wheel","The Revenant", "Suffragette", "Selma", "American Hustle", "Her", "Zero Dark Thirty", "Best Exotic Marigold Hotel", "Eternal Sunshine of the Spotless Mind", "Traffic", and "Brokeback Mountain". Entertainment counsel to USA Networks in connection with its sale of its entertainment assets to Vivendi Universal. Represented ABS as promoter of Manny Pacquiao boxing event in Manila, Philippines. Represented South Korean developer in connection with MGM theme park. Represented France Animation/Moonscoop in its acquisition of a majority interest in animation company Mike Young Productions. Counsel to private equity investor involved in Legendary slate financing arrangement at Warner. Structure and negotiate key Telemundo strategic alliances with Globo, Argos, and TV Azteca. Entertainment Counsel to USA Networks in connection with its acquisition of Polygram domestic library and merger with October Films to form USA Films. Outside general counsel to The Broad Stage.